If you want to have a memorable holiday vacation, then Oregon should be on top of your destination list. The Beaver State offers a varied and dramatic landscape that you will surely love. Oregon is located in the U.S. Pacific Northwest region. It faces the Pacific coast on the west and shares a common border with Washington, California, Nevada, and Idaho. The state offers everything for visitors from rugged coastlines and majestic beaches to towering Cascades, lush vegetations, forests, waterfalls, lava beds, and high deserts. The diversity of Oregon’s topography provides many opportunities for you to enjoy different outdoor activities. Due to fertile lands and perfect climate, the Pacific Northwest region has long been inhabited by humans since 15,000 BC. The area which is now known as modern Oregon was the original home of Native American tribes for millennia. Possession of the land was later transferred to European explorers until it was purchased by the United States from France. Because of its long history, Oregon developed a unique cultural heritage. 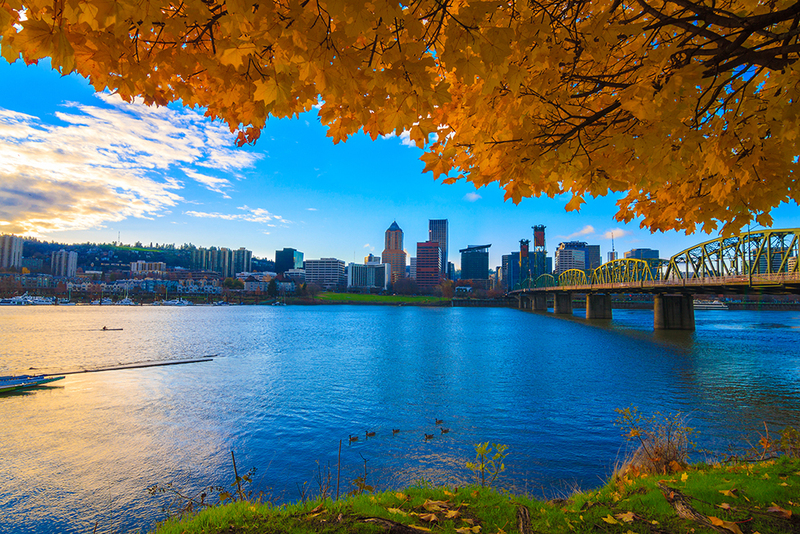 With a rich culture, the inherent hospitality of Oregonians, and breathtaking landscape, you will surely have a grand vacation time in Oregon. With a year-round moderate temperature, anytime is vacation time in Oregon. There is always something to do and something to explore while you are in Beaver State. To narrow down your options, here are the top five regions in Oregon where multitudes of experiences await you. Portland is a bustling city and one of the most progressive places in the United States. It is a technology hub and home to famous consumer brands such as Nike, Adidas, and Columbia Sportswear. Metro Portland has some of the most scenic urban gardens in the Pacific Northwest. Plenty of excellent restaurants are available to delight you with local and international cuisines and craft breweries. Portland is just one hour away to the majestic Mt. Hood and provides easy access to more than a hundred traditional wineries. A winter holiday vacation in Oregon is not complete if you will not visit Mt. Hood. It is the home of four ski resorts with excellent mountain holiday cottages and villas. You can ski, hike, and windsurf on these resorts under the protective shadow of Mt. Hood. Nearby is the awe-inspiring Columbia River Gorge. Exciting waterfalls and world class rapids are plentiful in the area. The river gives you lots of opportunities to enjoy almost all water sports activities. Oregon boasts of more than 400 miles of rugged coastline and serene beaches. The Pacific coastline is dotted with dozens of traditional and scenic lighthouses and watch towers. Oregon is the only state in the U.S. where you can enjoy unrestricted access to public beaches. You can take a hike in the morning to watch the early morning seabirds and catch a glimpse of a family of whales playing near the shore. The high desert area of the state serves as the playground of vacationers. There are plenty of activities waiting for you in Oregon’s high desert. It is home to remote camp grounds, ski areas, and river and lakeside resorts. Some of the best attractions in this region include rock climbing, mountain hiking, trail biking, boating, fishing, whitewater rafting, kayaking, and bungee jumping. Almost all imaginable water and mountain sports are available for you in the high desert region of Oregon. You will find the Crater Lake National Park at the southernmost part of the state. This area offers quaint and serene surroundings perfect for a romantic getaway. The area also has a thriving arts community. If you go farther east or west, you will be able to find the lush valleys of Oregon with fertile vineyards and sprawling farmlands. You can take a peek at the historic covered bridges of the Willamette Valley. Eastern Oregon on the other hand boasts of ancient towns and vast rolling hills. There is no need to worry about your holiday accommodation in Oregon. There are practically thousands of vacation rentals dotting the destination areas in the state. The good news is that the holiday rentals and hotels in Oregon are easy on the budget. You can stay in family holiday villas or romantic holiday cottages without busting your travel budget. Some of the best vacation rentals in Oregon provide a vantage point to the great outdoors. These rentals are manned by competent and friendly staff. A typical holiday accommodation in Oregon offers state of the art facilities, complete amenities, and travel and tour packages. After enjoying the sights, sounds, and ambiance of Oregon, you can retire to your holiday villa for a comfortable and luxurious rest.